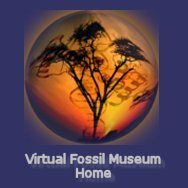 The term “fossil” is used for any trace of past life. Fossils are not only the actual remains of organisms, such as teeth, bones, shell, and leaves (body fossils), but also the results of their activity, such as burrows and foot prints (trace fossils), and organic compounds they produce by biochemical processes (chemical fossils). Occasionally, inorganically produced structures may be confused with traces of life, such as dendrites. These are called pseudofossils. The definitions below explain the types of fossils found in the context of fossilization processes. You will find there is some overlaps in the terminology commonly used in paleontology and geology. The processes of fossilization are complex with many stages from burial to discovery as a fossil. Organisms with hard parts such as a mineralized shell, like a trilobite or ammonite, are much more likely to become fossilized than animals with only soft parts such as a jellyfish or worms. Body fossils of plants and animals almost always consist only of the skeletonized or toughened parts because soft tissues are destroyed by decay or by scavengers. Even hard parts can be destroyed by natural processes such as wave action or can be eaten or destroyed by other organisms like fungi and algae. Many species of plant and animal fossils are known only from their fragments. The remains of an organism that survive natural biological and physical processes must then become quickly buried by sediments. The probability for an organism to become fossilized increases if it already lives in the sediment , and those on the sea floor are more readily fossilized than those floating or swimming above it. Catastrophic burial with a rapid influx of sediment is necessary to preserve delicate complete animals such as crinoids or starfish. This explains why most crinoids, for example, are found only as stem pieces. Since crinoids were not usually buried quickly, their hard stem parts are far more frequently found as fossils. Observations of rare living crinoids have shown that they will rapidly disarticulate within a few days of death. Rapid burial, in contrast, prevents this disintegration, and thus explains a few localities where beds of delicate crinoids, starfish and brittle stars are preserved in their entirety. Thus many factors affect of chances for fossilization. The common processes occurring after burial include chemical alteration or replacement and compaction. Most marine invertebrates have calcareous skeletons containing calcium carbonate (CaCo3) that occurs in one on two crystal forms, calcite or aragonite. Aragonite is comparatively unstable and will convert to calcite or dissolve over time. As a result, aragonite becomes progressively rarer in older rocks. If the calcite or aragonite is dissolved away the result is a fossil being preserved as a mold or cast. In contrast, the original calcite or aragonite might be replaced with other minerals such as silica or pyrite or a similar iron-containing mineral called hematite. Calcium phosphate is another important, but less common, skeletal material occurring in some arthropods, inarticulate brachiopods and conodonts. Apatite, a calcium phosphate mineral, is also found in bones and teeth of vertebrates. These are the most common replacement minerals other than calcite. It is possible to infer a certain amount about the missing soft parts of fossils by comparing them to living relatives. Information can be so deduced from traces such as muscle scars left on a skeleton for example. The preservation of soft parts is rare but scattered examples are found throughout the world at various localities. Examples of soft part fossil preservation include the frozen Siberian mammoths and ground sloth fur and feces. Preservation in this case is dependent on local climatic conditions and such fossils are unlikely to survive any significant amount of geological time since climate changes. Older soft bodied preservation due to protection from decay and scavenging under anaerobic conditions (without oxygen) especially at low temperatures rarely occurs. Decay is slowed allowing more time for soft parts to be buried and preserved. Despite the rarity, there are hundreds of fossil sites worldwide where soft tissue parts are preserved. Such a fossil site is known as a Lagerstätte. Examples include the early Cambrian Burgess Shale of Canada and Maotianshan Shales of China, the Carboniferous Mazon Creek Formation, and the Eocene Messel Pit of Germany. Limy shells and plant remains often lie in the ground without much change. Cones, stems, stumps, and fern roots in peat bogs have been known to exist up to 40 million years with little change, except for some discoloration and slight decay. The remarkable preservation in these peat bogs is due to the high concentration of tannic acid. Mollusk shells, sand dollars and sea urchins with ages ranging from a few thousand years to 75 million years have been known to survive with little change, except the loss of color. Occasionally, ammonite fossils show the original iridescence present when they were alive. The clam fossil of the Spanish Point Formation of California is a good example of shells that have undergone little change. Imprints are simply the external molds of very thin organisms, such as leaves and trilobites. They are often found in rocks such as sandstone, shale and volcanic ash. Trilobites of the Marjum Formation in Utah are often found as impressions. Trace fossils, also called ichnofossils are structures preserved in sedimentary rocks that record biological activity. Though trace fossils are often less interesting to view, they are very important because they represent both the anatomy of the maker in some way as well as its behavior. Sedimentary structures made by empty shells rolling along the sea floor are thus not trace fossils because they do not represent the anatomy of their maker. Trace fossils include footprints, tracks and trail marks, burrows, borings, feeding marks, and coprolites (fossilized droppings). The conditions under which animal remains are found differ from those favoring the survival of trace fossils they produce. The two are rarely found together. It is often difficult to determine what animals made a trace fossil with confidence. Traces made by wildly different animals can be very similar in appearance. Therefore trace fossils are classified according to the activity producing them rather than the animal that made them: resting, crawling, feeding, dwelling, etc. The majority of these trace fossils were made by infaunal (living in sediment) animals, especially deposit feeders like worms. Worm trails in Cambrian sediments are common. Bird tracks at some locations in the Green River Shales of Wyoming and Utah are also common. Tracks, trails and burrows are a particular form of trace fossil. These traces range from the worm trails to dinosaur tracks and even the footprints of Stone Age people. The tracks of worms, amphibians, reptiles and birds are common at some localities. A great variety of invertebrate’s tracks have been found. Trilobite and even insects tracks are found commonly at some localities. Burrows of worms, snails and crabs are known as well as their petrified remains. Worm trails are often found in the Cambrian Wheeler Shale of Utah. Bird tracks are common in the Green River Formation of Utah in some locations. Freezing is a type of preservation in which an animal falls into a crevasse or pit and remains frozen. Such ideal remains are rare and almost always never very old. Animals have been restricted to ice age rhinoceros and hairy mammoth. These remains have preserved bone, skin, muscle, hair and even internal organs. Remains of animals that have been found thoroughly dried include camel, ground sloth and even marsupial wolf. These remains were found in caves in arid and semi-arid areas of the Southwestern United States, South America, New Zealand and Australia. The dried dung of cave dwelling giant ground sloths have also been found in caves. Replacement takes place when water dissolves the original hard parts and replaces them with mineral matter. This chemical action may take place slowly, reproducing the microscopic structures of the original organism. Bone, shells and wood are often well preserved in this manner. The most common replacement minerals are calcite, silica, pyrite and hematite. The snails of the Green River Formation in Wyoming are often replaced by silica, a variation of quartz. The ammonites and goniatites of Europe and North Africa are commonly replaced by hematite, which is an iron mineral similar to, but more stable than pyrite. When the original hard parts are replaced quickly they often loose all trace of their original structure, leaving the original shape, but no detail. Agatized woods are often preserved in this manner, (agate is a form of quartz). Pyritization is a Permineralization process involving sulfur and iron, and can result is formation of exquisite fossils and soft-tissue preservation. Organisms are pyritized when they are in marine sediments saturated with iron sulfides. Pyrite is iron sulfide (FeS2). As organic matter decays it releases sulfide which reacts with dissolved iron in the surrounding waters. Pyrite replaces carbonate shell material due to an undersaturation of carbonate in the surrounding waters. Some plants are also pyritized when they are in a clay terrain, but to a lesser extent than in a marine environment. Pyritized fossils are varied and particularly beautiful, such as this Jurassic Quenstedticeras ammonite and fossils from the Bundenbach Hunsruck Slate in Germany. An organism will lie in sediment until the surrounding sediment becomes firm. Later the organism dissolves away. If there is no infilling of the cavity with mineral, sand or clay this is called a natural mold. The outside of the mold, which would have been the outer surface of the animal, is referred to as an external mold. This often has the fine detail of the surface of the original organism. The inside surface of the mold is referred to as the internal mold, (sometimes miscalled casts). The internal cast forms when sand or clay fills such things as empty shells of snails and clams, which are common. If the cavity is filled with grains of sand or clay, duplicating the original inner surface of the organism, this is referred to as a cast. The Procheloniceras ammonite fossils of the coastal Sahara Desert in Morocco are a fine examples of external and internal molds; however, since the ammonites shell is gone, local artisans often fake these ammonites by carving them out of rock. The inside molds of turritella snails are a common example an internal mold. Many ammonites are found with the animals original shell dissolved away, leaving only the internal mold (also see body fossils above). Asphalt preserves only the hard parts of organisms such as teeth, bones and the outer shells of insects. Countless numbers of these fossils are preserved in the Rancho La Brea )tar pits) Formation in California. Peru also has vast numbers of fossils preserved in tar seeps. The fossilization of plants markedly differs from that of animals. The leaves are frequently reduced to a carbon film in a process known as carbonization or distillation. The internal anatomy of leaves is often lost, but occasionally cell walls and even cell contents may be preserved by permineralization. Permineralization occurs after burial when empty spaces within the plant containing liquid or gas during life become filled with mineral-rich groundwater and the minerals precipitate from the groundwater filling the spaces. This process can even occur in very small spaces such as within the plant cell wall of a plant cell, thus producing exquisitely detailed fossils. Permineralization burial before decay is advanced. The degree to which the remains are decayed when buried determines the later details of the fossil. Carbonization is a process by which the more volatile substances of plants and animals decay, but leave behind the carbon. Crumbly woods of lignite deposits are one example of Carbonization. At its extreme, carbonization reduces plants and animals to shiny black or brown film like the Metasequoia leaves of the Tranquille Shale of British Columbia (also see plant fossils above). Chemical fossils are organically derived compounds formed by living creatures that occur in some rocks. There are usually no traces of the actual organisms left behind. Radioisotope concentrations in rocks of the early Pre-Cambrian suggest life was photosynthesizing almost three and a half billion years ago. 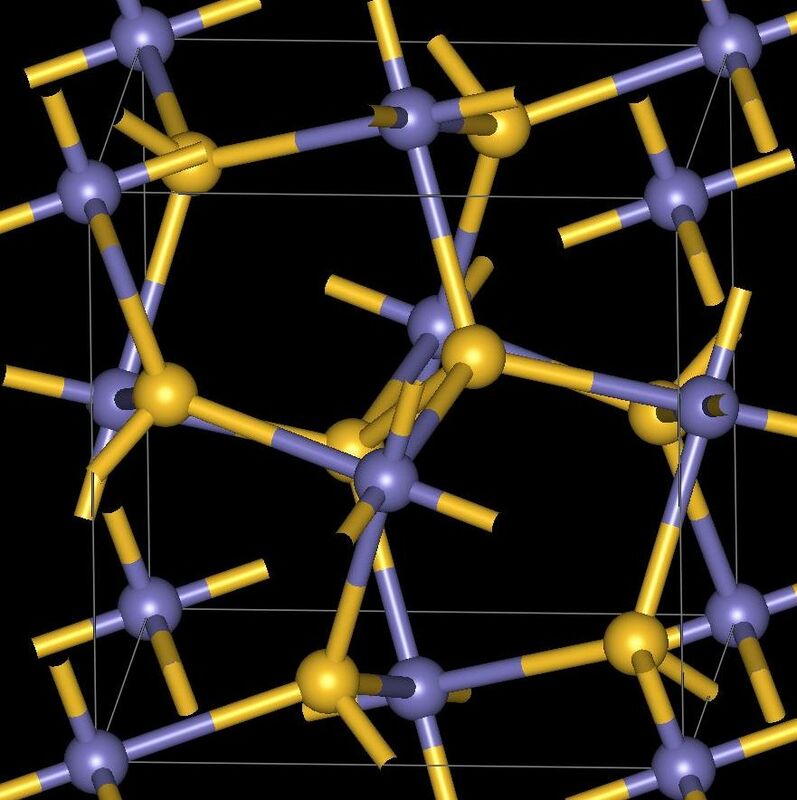 Large organic molecules don’t survive long after an organism’s death, but those molecules may break down to smaller stable organic molecules which can survive over long geological time. Hydrocarbons such as crude oil and natural gas are common examples. Chemical fossils are probably most significant in there use as early evidence of life in the Precambrian. The discovery of phytane and pristane in early Precambrian rocks indicate the presence of photosynthetic organisms as the compounds have no other known natural organism. This is the process by which tree sap is converted to fossil amber (more accurately called fossil resin), literally becoming a natural plastic. Carbon and hydrogen atoms form rings that cross-link more and more over time causing the sticky tree sap to harden to amber. Amber occasionally traps insects preserving their delicate bodies. The Baltic Sea area, Dominican Republic and Andes Mountains of Colombia are the main sources of amber, though small quantities are found worldwide, including Alaska. Interestingly, fossil resin can trap a small segment of an entire ecosystem, since plants, animals, bacteria, archeans, fungi, etc., may all be simultaneously sealed within the hardened resin, which itself is a plant fossil. The word coprolite means “dung stone” and is used to describe feces preserved by petrification (see above) or as molds or casts (see above). The Eocene fish beds of Wyoming often produce fish coprolites. Carnivorous mammal coprolites of the Oligocene bad lands of South Dakota, Nebraska and Wyoming are also common. The Triassic age coprolite in this kit is found New Mexico and is from a small dinosaur or retile. These coprolites occasionally have the scales of fish or the bones of other small animals preserved in them (also see Trace Fossils above). Modern birds use swallow stones, which rest in a muscular stomach called a gizzard, to aid in digestion. Many ancient retiles also had this method of grinding food with gizzard stones. These stones, called gastrolithes, are recognized by their rounded edges and even polished appearance (as long as they are found in associated with vertebrate fossils remains). Pebbles can also be rounded and smoothed by running water or wind blown dust, so the two can be easily confused. Ideally stones found near the stomach area of fossil bones or near such remains can be assumed to be gastrolithes. Smooth pebbles that merely lie in beds that may have reptile or bird remains should not be called gastrolithes. Fossils often become deformed through the pressure of overlying rock and geological forces. The term “plastic” refers to the fact that normally brittle shell can be bent without fracturing, due to the slow movement and pressure of surrounding rock. Most commonly fossils are simply flattened, but lateral compression (side ways) is also possible. Brachiopods from the Ely Formation of Utah are often preserved this way. The trilobites of central Utah sometimes are found with an unusual form of preservation. Their mineralized exoskeletons have a form of calcite, which typically accretes to the underside of the trilobite shell called “cone in cone” calcite. The calcite allows the trilobite to weather from its matrix intact even though the shell of the trilobite is very thin. Many objects of inorganic origin can resemble fossils. While a bit of a misnomer, these are called pseudofossils. Hardened masses of mineral substances called concretions are often mistaken for fossils. These can sometimes resemble plants and animals. Large flat are often mistaken for turtle shells. Dendrites, which are flat, branching manganese dioxide crystals are often mistaken for leaves or ferns. The finest dendrites are found in Germany and Utah. The dendrite specimen in this kit is from southern Utah.